As teacher educators we have found ourselves sharing academic, developmental and philosophical interests and recently we have found a further shared dimension: that of the life, work and legacy of Winifred Mercier. We currently work at two UK universities, Leeds Beckett University (which has evolved from Leeds Training College) and Roehampton University (which has its origins in Whitelands College), whose former institutions Winifred Mercier also worked at. As we have read into her life we have also realised that despite having lived between 1878 and 1934 her concerns, practices and advocacy of teacher education have resonance today. Her work in Leeds included extending teacher training by a third year, reforming the curriculum and ensuring that her students gained an understanding (including through first-hand experience) of the economic and social conditions that shaped many children’s lives. She also challenged pedagogic approaches, seeking and enabling better methods of teaching. Such was Winifred’s determination to shape the academic and vocational experiences of the students at the college that she ran into problems with the male college principal, who appeared to find it difficult to abdicate responsibility. Winfred challenged the fact that men and women were accommodated and taught separately, believing that young people who shared college grounds and social occasions should also be co-educated. As college life was turned upside down by war, there a series of disputes between Winifred and the principal which resulted in her resignation three years after taking up the post. There followed a ‘talk’ by James Graham (the secretary for education at the Leeds board) to the staff concerned by Winifred’s departure – the tone of which was apparently didactic and deprecating – which, rather than restoring order to the staff, instead triggered the resignation of half the women teachers at the college. While at Whitelands, Winifred also involved herself with influencing wider educational work and policy – campaigning for longer teacher training for all teachers, for example, and the establishment of nursery schools. Throughout her career she engaged in scholarly debate and curriculum development in both history and religious education, becoming a fellow and council member of the Royal Historical Society, and also a member of the archbishops’ first commission of enquiry into the teaching office of the church. For us she is a teacher educator to live up to in the 21st century. 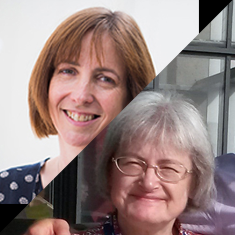 Rachel Lofthouse is Professor of Teacher Education and the Winifred Mercier Professor of Education at the Carnegie School of Education, Leeds Beckett University, where she has established ‘CollectivEd: the Hub for Mentoring and Coaching’. Prior to joining Leeds Beckett University in 2017 she was a teacher educator and researcher at Newcastle University. She has a specific research interest in professional learning, exploring how teachers learn and how they can be supported to put that learning into practice. Her email address is R.M.Lofthouse@leedsbeckett.ac.uk and she tweets at @DrRLofthouse, and @CollectivED1. Ali Messer is head of secondary initial teacher education, and history PGCE tutor, at the University of Roehampton. She was previously the head of a comprehensive secondary school humanities faculty, before joining Roehampton after nearly 20 years in the classroom. Ali’s research is focused on history education, the development of new teachers, and how historical teaching and learning might be supported by new technologies. Her publications include a chapter, ‘History wikis’ in Haydn (ed) (2013) Using New Technologies to Enhance Teaching and Learning in History, Abingdon: Routledge; and an article, ‘For us it was very much made our own: how beginning teachers develop collaborative creativity online’, International Journal of Historical Learning, Teaching and Research 8(2).